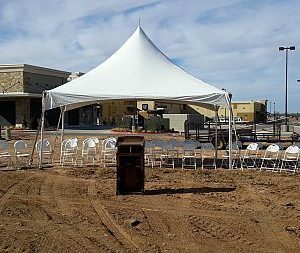 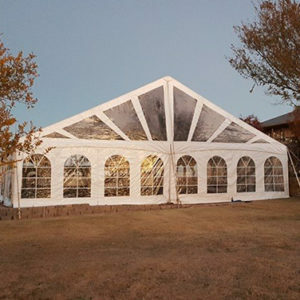 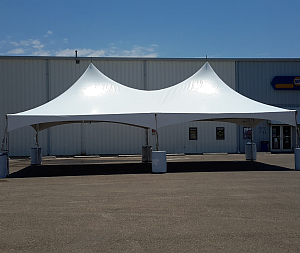 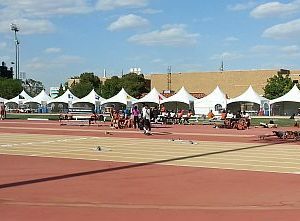 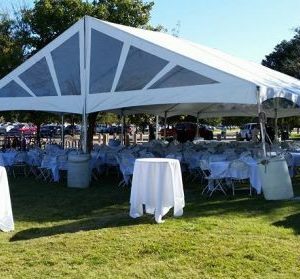 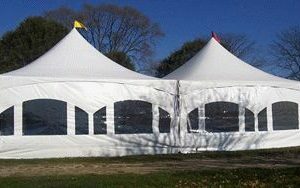 Our 20 wide tent rentals offer sleek high peak designs providing that extra touch of elegance. 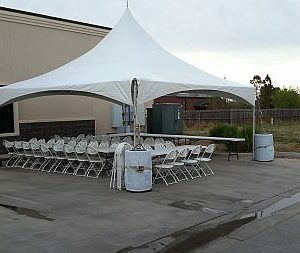 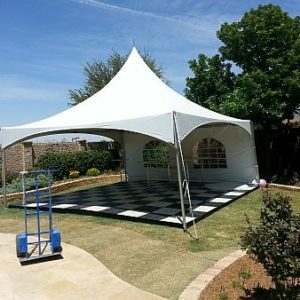 Perfect for wedding tents, company parties, and backyard shade. 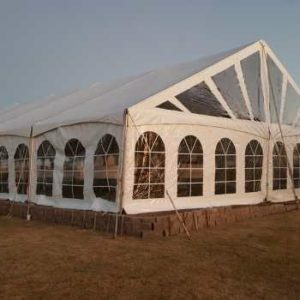 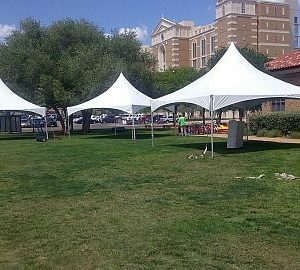 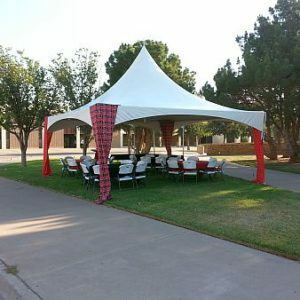 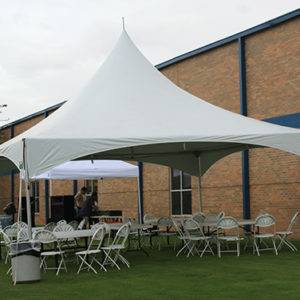 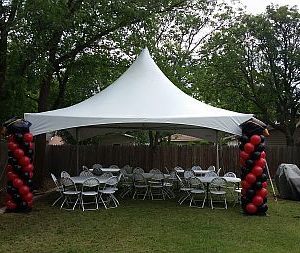 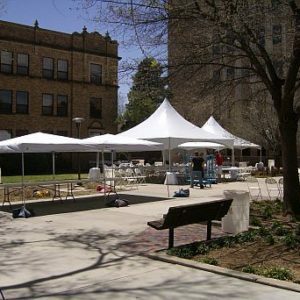 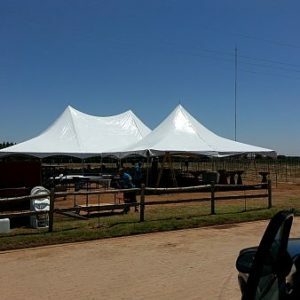 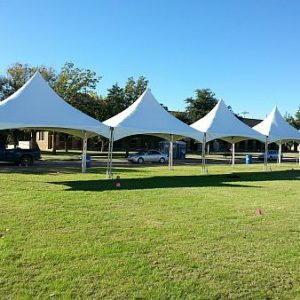 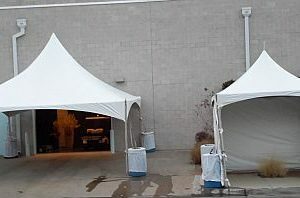 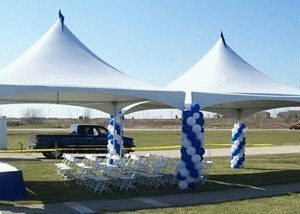 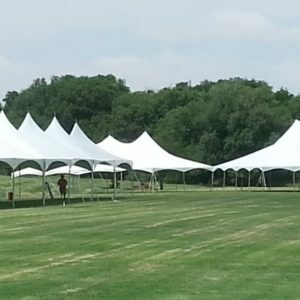 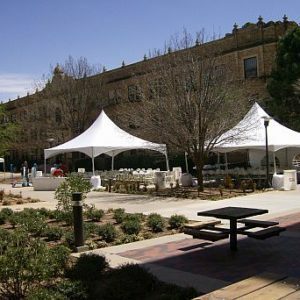 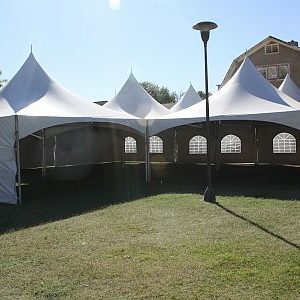 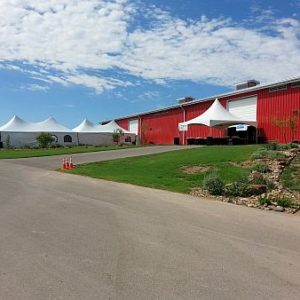 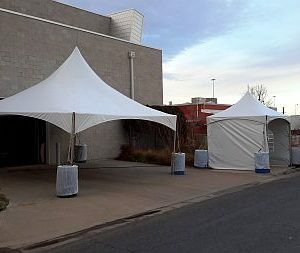 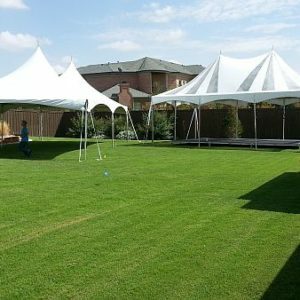 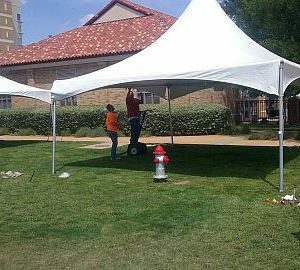 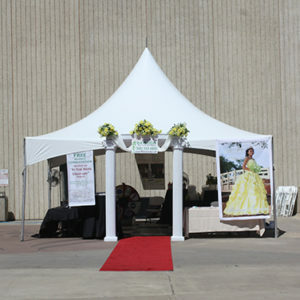 These tents can be joined together to make custom lengths and designs. 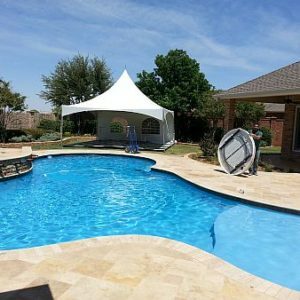 Gutter tracking is installed at the joining point to ensure any moisture or light is blocked and you and your guests stay dry. 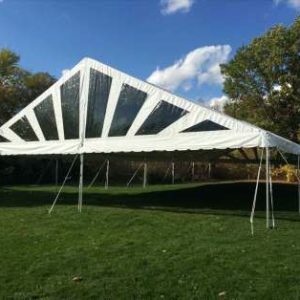 As with any of our frame tents there is no pesky center pole in your floor space.